The GPE series are bipolar, floating, fully-programmable, electrostatic chuck (ESC) power supplies in an embedded enclosure. Valuable instrument rack space can be saved, as these compact units can be located near the RF enclosure, eliminating the need for lengthy high-voltage cables. 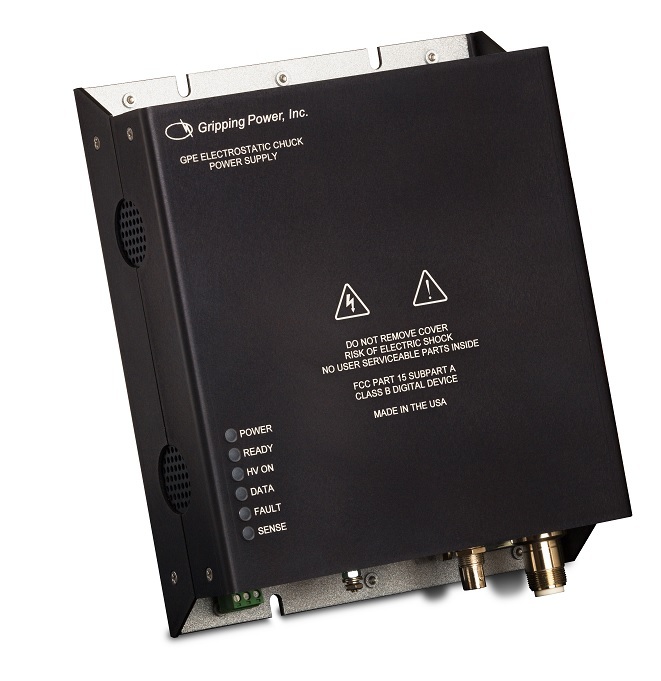 All GPE series power supplies are factory configured to operate from 24VDC. The GPE series power supplies can replace the ESC5PN25 and the legacy EPS300 power supply in all electrostatic chuck applications. Copyright ©2019 Gripping Power, Inc. All rights reserved.